One game into their latest transition phase, Matt Burgbacher and Troy travel to Xenia Friday hoping to reclaim an old familiar feeling. Troy – It shouldn’t take much, and it doesn’t take long to appreciate the importance of Troy’s Friday date with Xenia down in Greene County. 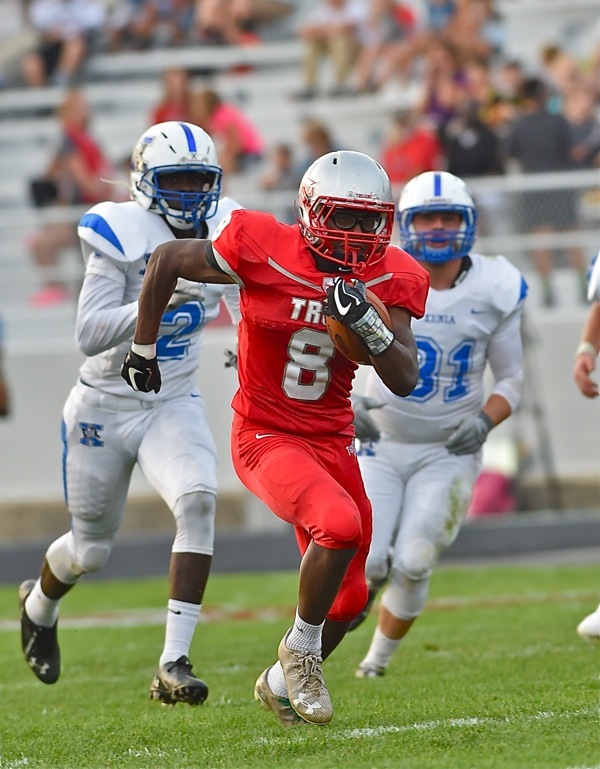 For just one year ago on the same date the Trojans were reeling, coming off an embarrassing 48-0 opening loss to Trotwood, a game that stood to set an early, ugly tone for their 2017 season. A week later, against a suspect, but dangerous Xenia team, they did get better, beating the Buccaneers (2-8 for the year) 28-6. It was the game where Jaydon Culp-Bishop got on the field for his ‘coming out’ to a 1,500 yard rushing season, and while they would lose the following week to Bellefontaine in a highly competitive game, that Xenia game amounted to a turning point in the Trojans’ season. That same game looms again now, just four days hence…the irony of it obvious, and ominous. While they Trojans won handily in last Friday’s opener over Belmont, they say that the improvement between the first and second game of a football season is the biggest of the year. 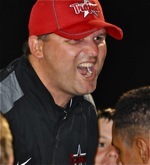 It can easily create a positive impetus for the rest of your season, and, Burgbacher and his new-look Trojans are looking to do just that. Culp-Bishop is back – Sam Jackson is back – sure enough, but a lot of new faces grace the starting lineup for Troy, especially on the offensive line where only one starter from last year, Nate Garber, returns. Jesse Westmeyer (tackle), Jakob Moorman (guard), Marshall Brueckman (guard) and Riley Hubbard (center) all made their first varsity start against Belmont last Friday. 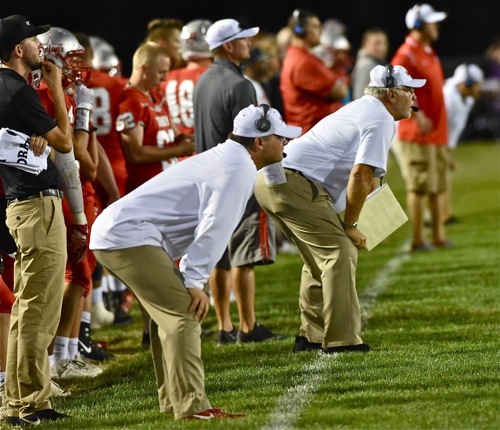 Inexperience at those four positions can make any team highly vulnerable in the GWOC, and Burgbacher knows it. Hence, the importance of another early, positive experience against Xenia. Learned behavior? Burgbacher II mimics the sideline manner of Burgbacher I as the Trojans’ defense held Xenia to just a touchdown in last year’s 28-6 win. A win at Xenia, which won its opener over Beavercreek, 41-14, becomes all the more important, because while no coach looks ahead, the schedule beyond Xenia is certainly doable – a home game with Turpin and a road date at Stebbins before Miamisburg comes to Memorial Stadium on September 21. And while Culp-Bishop, Brayden Siler, Jackson and company acquitted themselves in predictable fashion on offense last week, an additional week of prep work for a revamped defense is an even bigger incentive for this week. They play ‘em one game at a time, for sure, and no one on Staunton Road is going to look past Xenia. Rather, they’re looking right at Xenia, the game that stood in between the Trojans’ only two losses last year in the regular season. Deja-vu? It’s an old familiar feeling. What remains to be seen…will there be enough week 2 improvement to carry them on, and through, to another title year?